New Claim? Under Paid Claim? Denied Claim? Simply fill out our form below and a representative will contact you soon. We can also be reached at: 1-800-410-5054. NOTE: Our free consultation is a service furnished to potential clients who may file a property insurance claim. By submitting this form, no contract relationship between AAA Public Adjusters and the submission user is formed. All contracts used by AAA Public Adjusters are approved by the Insurance Commissioner in the jurisdiction wherein the property is located. 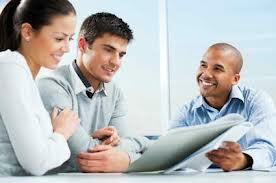 The process of preparing and filing an insurance claim can be quite tedious and frustrating. If you have property damage and would like a free consultation with one of our public adjusters on how to prepare and file an insurance claim, please fill out the form above. We will contact you shortly. AAA Public Adjusters are highly trained, licensed professionals whose sole purpose is to help you understand your insurance policy and seek the maximum return on your insurance claim. Our adjusters will look out for the insured’s best interests. As property claim specialists, the AAA Public Adjusters Team works diligently on our clients’ behalf to expedite and maximize their financial recovery. AAA Public Adjusters deliver value by identifying the proper scope of damage for our clients’ insured property and preparing a detailed estimate of loss. If you retain our services, there is no up-front cost. Our team strictly works on a contingent fee basis. Our public adjusters are routinely retained by policyholders’ legal counsel to serve as expert witnesses in certain cases after proper due diligence by AAA Public Adjusters is performed. To avoid any potential conflict of interest, we exclusively work with counsel representing the insured, never insurance company attorneys. Call us directly for more information on our adjusters’ availability & fee schedule. Call us or Fill Out The Above Form Before You File Insurance Claim.